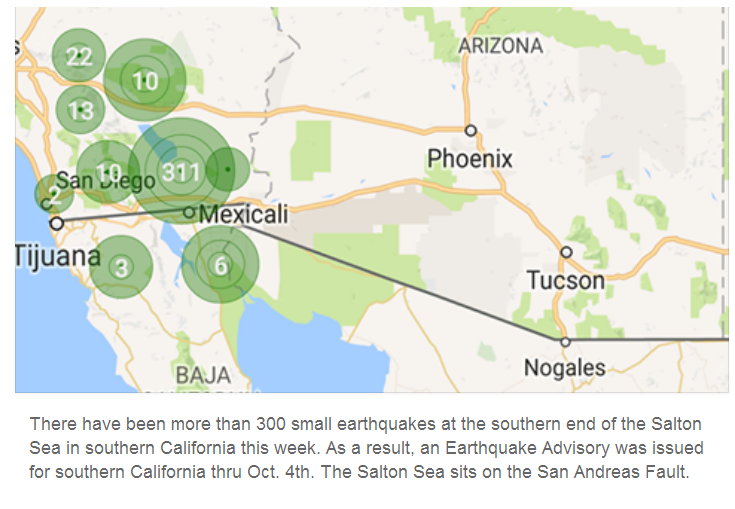 If there was a major earthquake to occur, we should be seeing some warning signs in advance. We are seeing those warning signs over and over again in California. 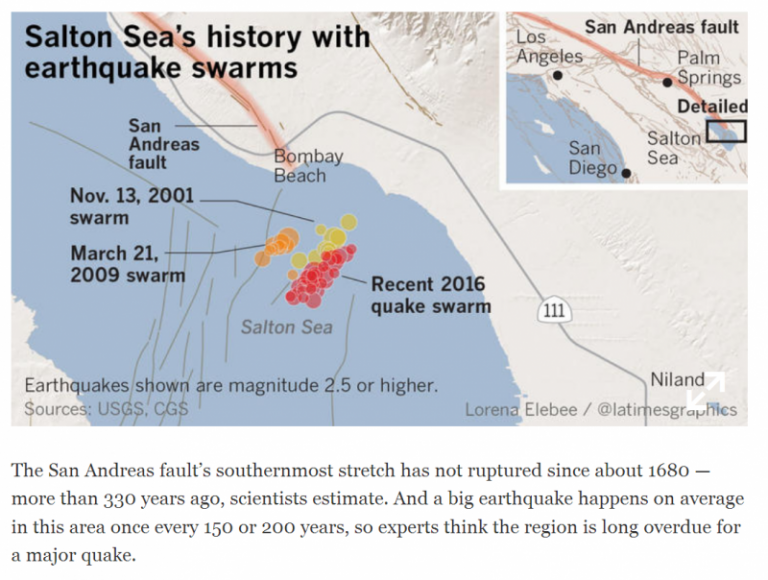 Recently a swarm of 200+ earthquakes earlier this week at the Salton Sea in California reminded many people that the San Andreas fault line could very well produce an massive earthquake that might happen sooner than later. Watch this video that was posted about 3 months ago by BP Earth Watch on youtube. I had to screen shot it and save it on my facebook page because it contained some very eye opening information. 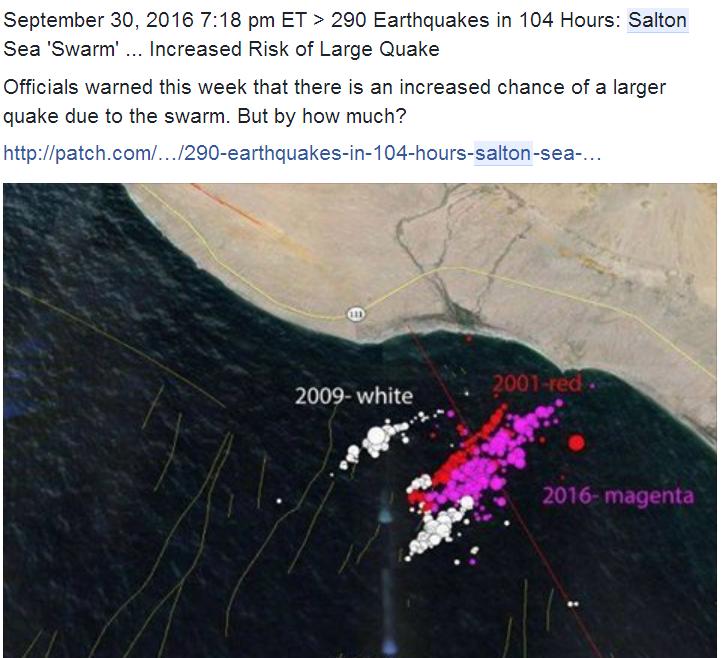 He mentions the Salton Sea area in California, and comments that many experts believe this might be the very location where California breaks off some day. 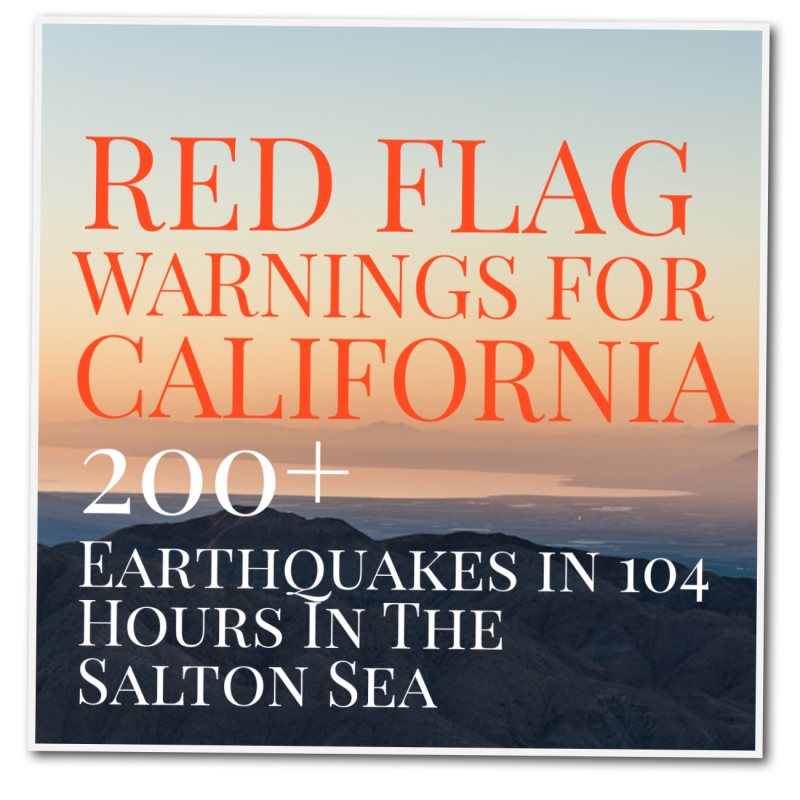 He details how at the bottom of the Salton Sea there are 5 volcanoes that are active. Below you can see a video, shot of this area in May of 2016 showing the volcano quite active. 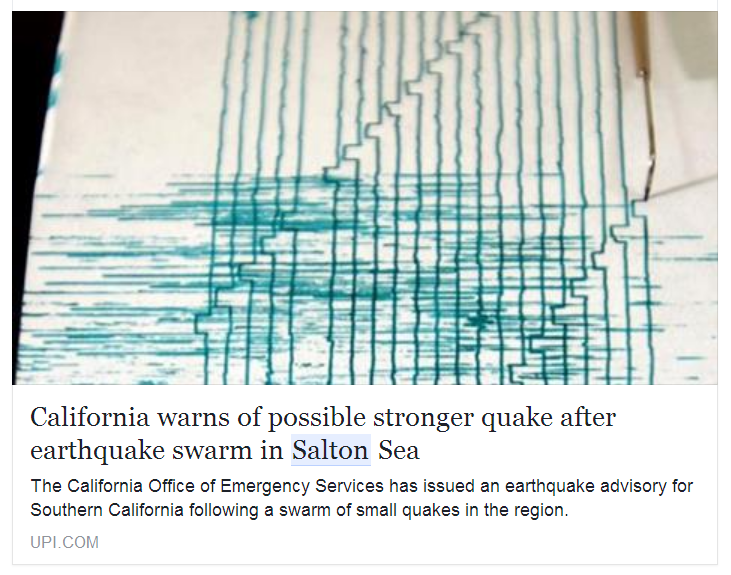 A very large earthquake warning watch is issued for the San Andreas fault area up to October 4th. This could be some red flag warnings for something bigger to come. “Get To Higher Ground” A Vision Of California Breaking Off Into The Sea– She saw areas of California breaking away. She says when she was seeing this happen, she heard people say “get to higher ground”. 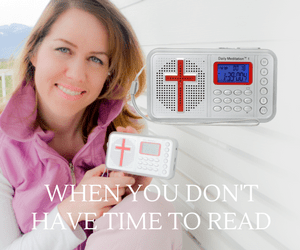 She mentions she saw .